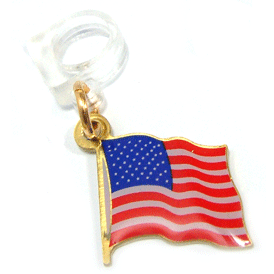 Printed American flag with pencil charm. This is a closeout item, limited quantities are available at this price. Show your national pride with our eye catching patriotic stock pins.